The Mangan Award is USTA Middle States’ highest recognition of achievement and service, having been awarded throughout the past four decades to local tennis leaders who inspire, lead, and grow tennis each and every day. In a group of past honorees that includes Judy Levering, Merv Heller and so many more, Ellen Williams fits right in. A long-time volunteer and former President of the New Jersey District (NJD), Williams was presented with the prestigious Mangan Award at the New Jersey District Award Ceremony on April 21. Even a week after the awards ceremony, Williams couldn’t get over her excitement and the utter surprise she felt when it was announced. The Mangan Award was established in the mid-1970s by the family of Thomas J. Mangan to recognize individuals who have made significant contributions to tennis in Middle States, demonstrating unselfish devotion and a spirit of cooperation. 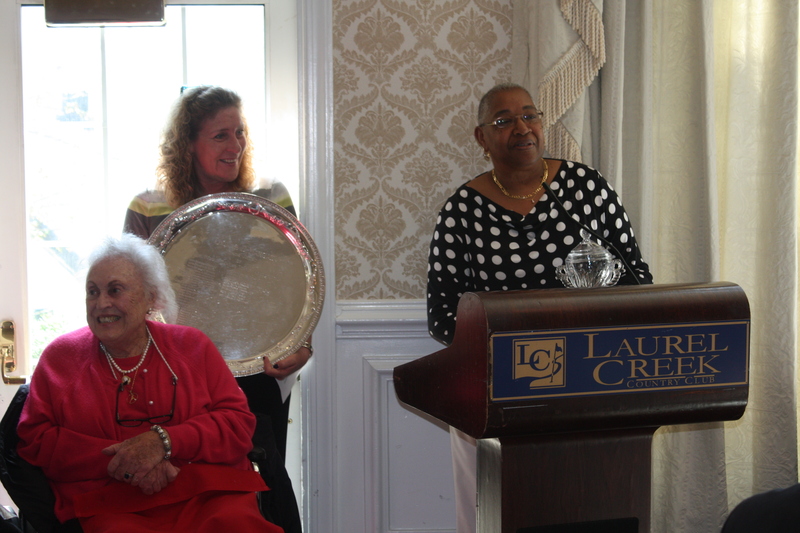 Barbara, the wife of the late Thomas J. Mangan, and his daughter, Elsie Pitochelli, present the award each year. Along with her time as the NJD President, Williams has been an integral part of the Middle States community for years. A member of the USTA MS board for a number of years in multiple capacities, she received the USTA MS Presidential Service Award in 2006. In recent years, Williams has worked with the Willingboro Parks and Recreation Department (WPRD) to bring tennis to people of all ages, running a multitude of programming and events, including instructional programs, Play Days, tournaments and more. WPRD was Middle States’ 2012 NJTL Chapter of the Year. Also involved with the American Tennis Association, Williams is an advocate for equality in tennis with hopes of providing opportunity within the sport to all who have interest. More info on USTA Middle States award winners can be found here.